Acupressure Mode: Position your feet where stimulation is desired. 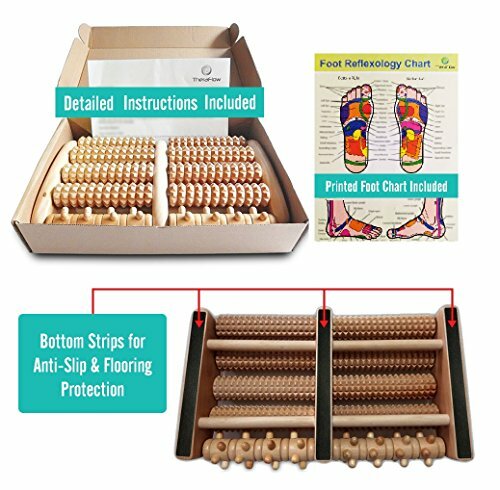 Press your feet down and feel the pressure of all 5 rows of rollers on your feet for 2-3 seconds. Release and relax. Great for targeted stimulation or when you do not wish to move your legs too much. You work hard & go through much of the rigors of life on your feet. Before you know it, they start to feel tired & worn out. That's why you need a dual foot massager that can alleviate not only aches and pains, but excruciating heel spurs, plantar fasciitis, and more. 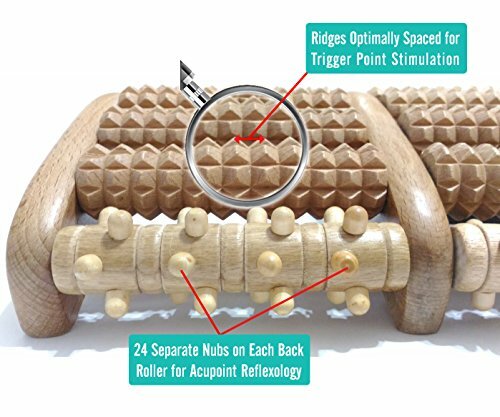 The TheraFlow Dual Foot Wooden Massage Roller uses the power of acupuncture reflexology to easy your muscles, tissues, and tendons, so you can get on with your day, or just feel refreshed and rejuvenated. Your feet deserve the relief, and you deserve the comfort. 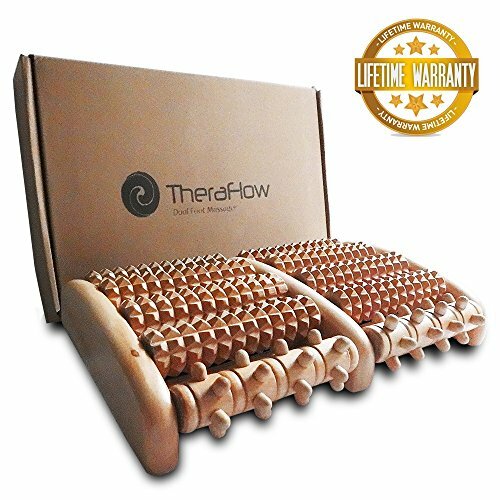 Get your TheraFlow today and start feeling better immediately.